The pictures and much of the wording below has been taken from John S Barnes 'A History of Caston' but if you have any old photos that would be of interest please click here and attach your photo to the email along with a description and we'll publish it on this page. Rev John Twells was rector of Caston from 1768-1803. The above painting is currently in the Hope College, Holland, Michigan. The paintings came to Hope College in the early 1990s from an alumnus in Chicago, who bought them from the W. Russell Button Gallery (also in Chicago) in the 1970s. The Button Gallery listed the Honorable Mrs. Basil Ionides (1883-1962) as a previous owner of the painting. Research shows that Mrs. Ionides was a London collector known especially for her Asian ceramics, some of which she donated to the British Museum and the V&A. 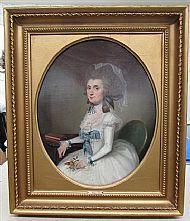 Mrs Ann Twells, wife of Rev John Twells d1785. 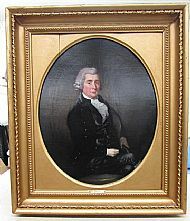 This painting and that of Rev John Twells are attributed to Johann Zoffany (1733-1810), who was a leading portraitist in England at the end of the 18th century. Zoffany painted portraits for some of the most illustrious people of his time, including King George and Queen Charlotte. 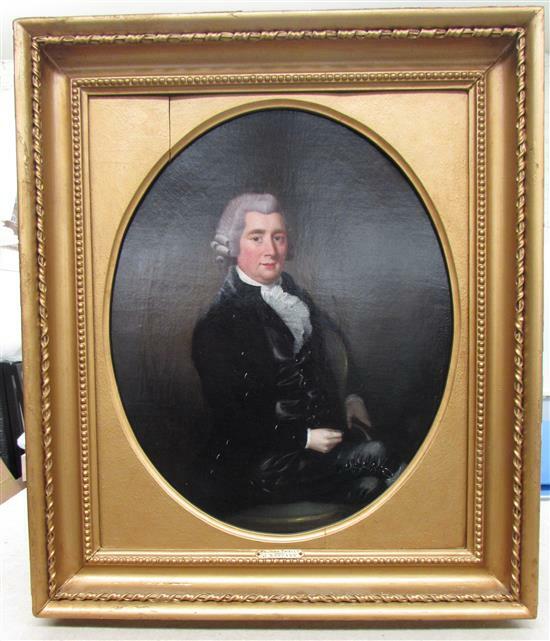 The curator at Hope College is still researching Zoffany, but if it turns out that he mainly painted aristocrats and well-known London society people, one of his questions will be if and how he (or his studio) could have painted portraits for the rector of a small church in Norfolk. Were Rev. and Mrs Twells socially prominent people? Were they wealthy or well-connected in London society? It is difficult to see in the photos, but Rev. 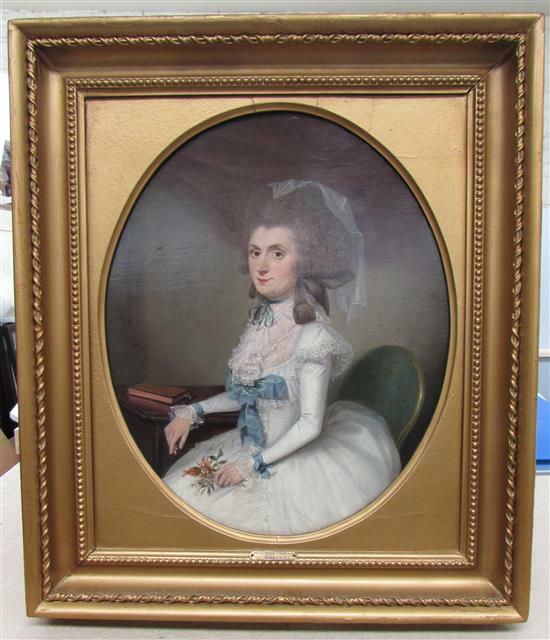 and Mrs Twells are both wearing luxurious-looking silk garments and Mrs. Twells has her hair done up in what was a most fashionable coiffure in the 1770s. Formally Tricker's Bakery, this is how it looks today. Compare with the picture on the left. 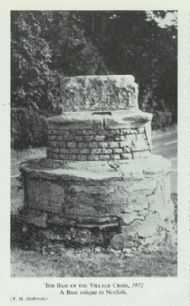 The cross itself has long since gone but the base is quite unique to Norfolk and dates back to the late 15th century. In the 1950's when a trench was being dug close to the base, parts of two skeletons were discovered. It's worth noting that Caston at one time had two churches. 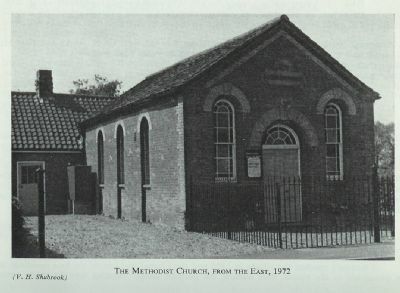 Pictured here is the Methodist Church, known for so long as The Chapel. Originally measuring internally only 34 ft by 16 ft and seating only 68, it was built in 1818. In 1924 a schoolroom was added at the rear with seating for about 120. Today it is a private residence. 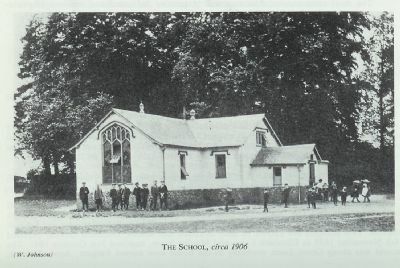 This picture shows the school in 1906. At that time it was still on the edge of the village green. It was built in 1839 mainly at the expense of the Reverend Benjamin Parker, Rector, on common land of the village. 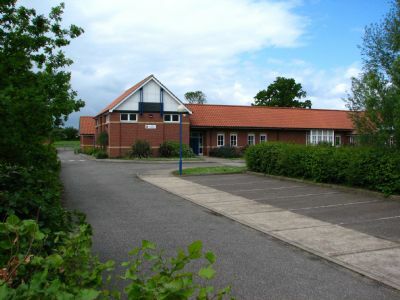 The school was demolished some years ago and moved some half mile or so along The Street towards Griston. A private residence now stands on this site. 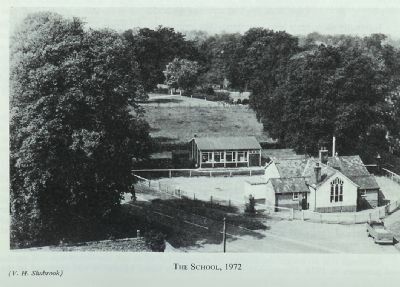 Here is the school in 1972. Note the addition of a new infant classroom at the rear, opened in 1965, on land especially purchased for it. Note also the fence which was erected in 1910 to keep out intruders who it was claimed had placed 'obscene writing' on the toilet walls. 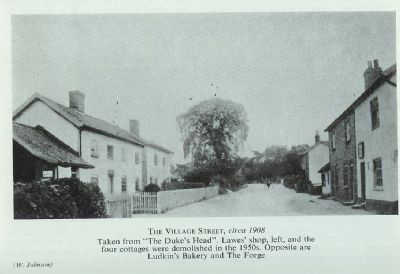 Some villagers were incensed that their common land had been fenced and threatened to demolish it but good sense prevailed and with the advent of the motor car a few years later, a fence became essential. 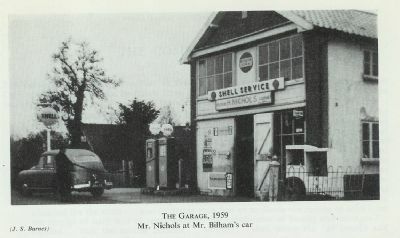 The petrol pumps are long gone, originally installed in 1928 by a Mr Hammond, this picture shows the garage in 1959. 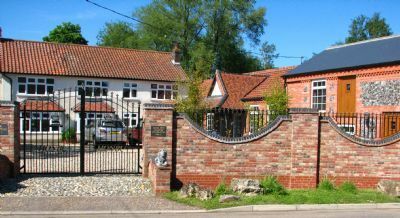 The garage is now a private residence, so well converted it's difficult to visualise how it once was. 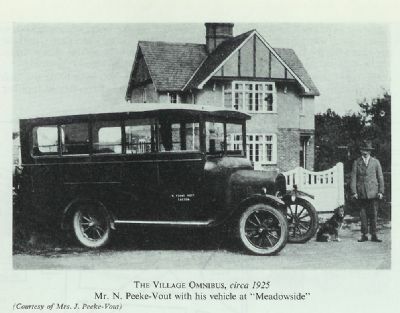 Taken in 1925, there is no information as to where and how often the bus actually ran but the business owned by Mr Peeke-Vout was sold in 1952 to Mr Colin Pegg who expanded it, running a coach/bus service from his depot at the end of Duke's Lane. 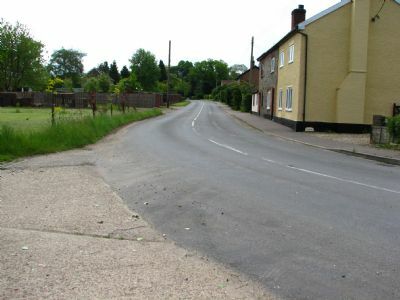 On his retirement some years ago the land was sold and houses were built with further planning permission granted in 2005. 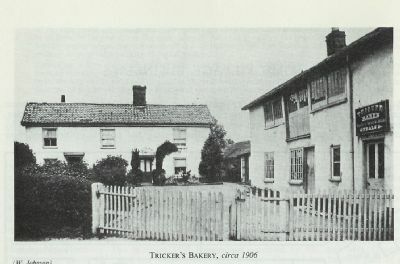 Pictured in 1906, Tricker's was central to the welfare of the village as it was from here that the daily bread deliveries were made. The building still exists and has been modernised although for another business enterprise.